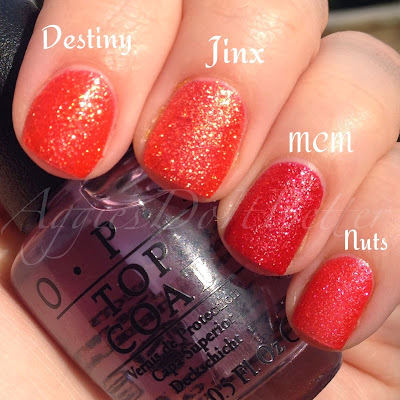 Aggies Do It Better: OPI Brazil 2014-Part 3-Liquid sands swatches, comparisons, and art! 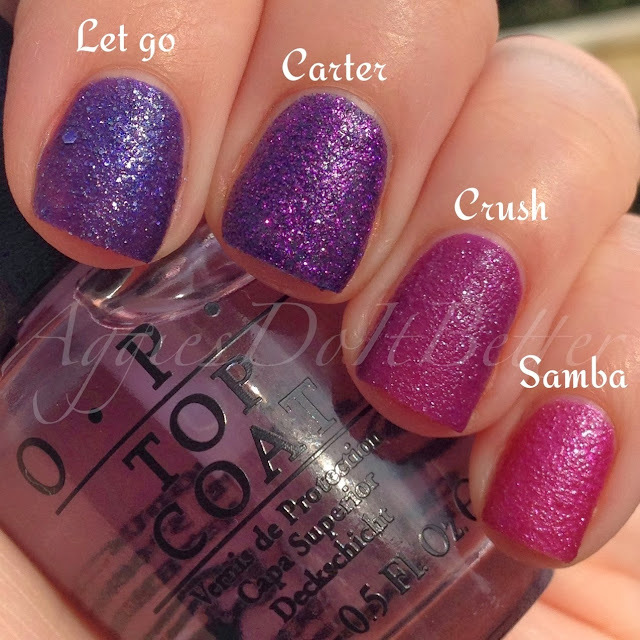 OPI Brazil 2014-Part 3-Liquid sands swatches, comparisons, and art! Hey guys!!!!! I have saved the BEST for last. I have been the most excited to try these out because if you follow me on Instagram at all you know I'm UHBSESSED with texture. I love love love it! 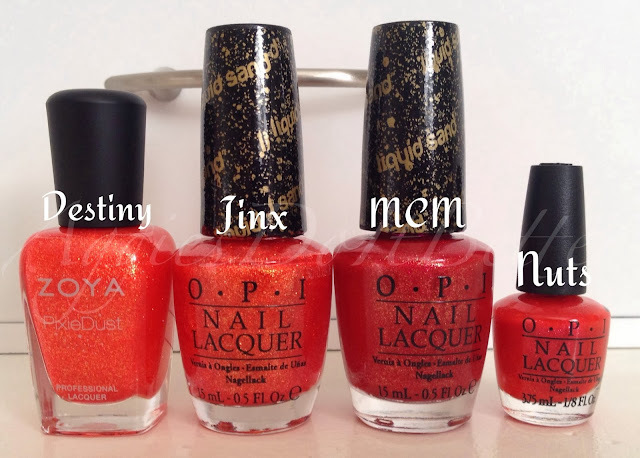 I've also been the most excited to do these comparisons for yall because I have just about every liquid sand OPI has made. 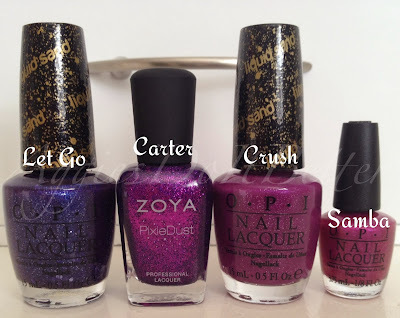 And a good majority of Zoya Pixiedusts. I have made it my mission to scour the clearance racks, especially lately, to find these treasures! Everyone else's loss is my gain! One thing..... Why are these in minis only? 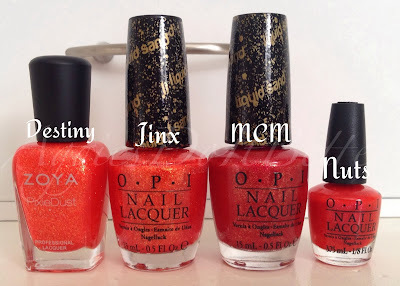 Are you listening OPI? I hope this is not a sign of things to come. Please don't stop making sands. I will be a sad sad lady!!! Another thing: it was sunny the day I did these so YAY BONUS PHOTOS! All pics are in natural light. Bottle shots are indoors next to a sunny window. 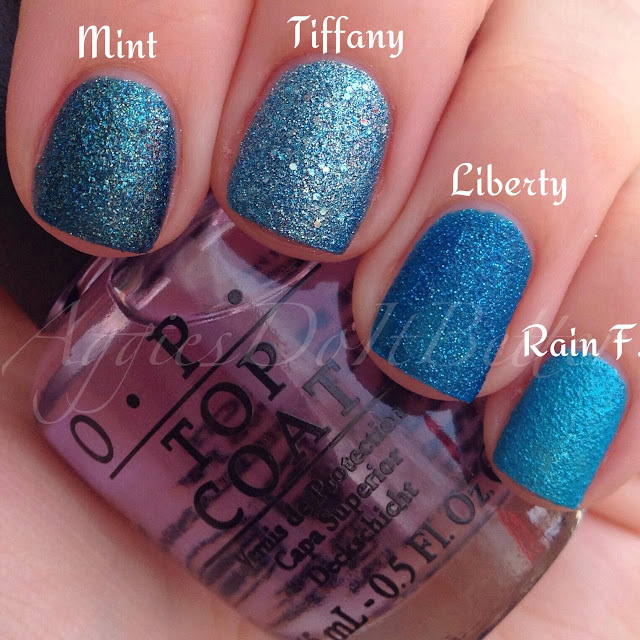 All swatches are 2 coats. First up is I'm Brazil Nuts Over You. I'm severly allergic to pine nuts so this name even being remotely similar makes me a little twitchy :) That being said, I was preparing myself to hate this. It's right in that coral-red-orange area that I just don't dig. BUT in real life it really leans more of a neon pink.You'll just have to trust me. I don't color correct my photos so it really looks coral in these but it's not. It's just enough pink to save itself in my house. Here's the comparisons. I'll be posting the bottle shots first and they are in the same order as on my nails. I think it comes the closest to Magazine Cover Mouse (which I wore for a whole week after I broke my nail on my middle finger recently and just LUHVE), but definitely not as red. These are pretty different. Solange could have even used 3 coats but I kept it at 2 for consistency. I really thought the NOPI would be exactly the same but it's a bit more sparkly. Next is What's a Little Rain Forest? I don't get the name, but anyway. I was preparing myself to love this but.....on the fence. I just don't know. Needs more sparkle! Here is each with one coat. I think you can tell the difference in color with these a little better. 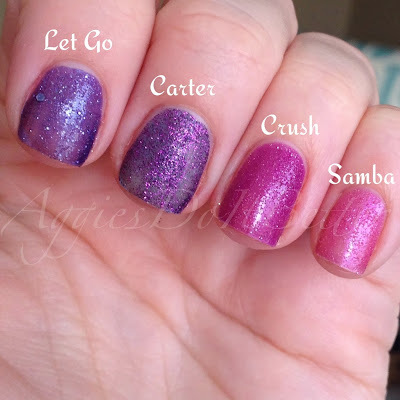 Last up is Samba-dy Loves Purple. This is my surprise favorite! I am still shocked! Yes, over the blue! 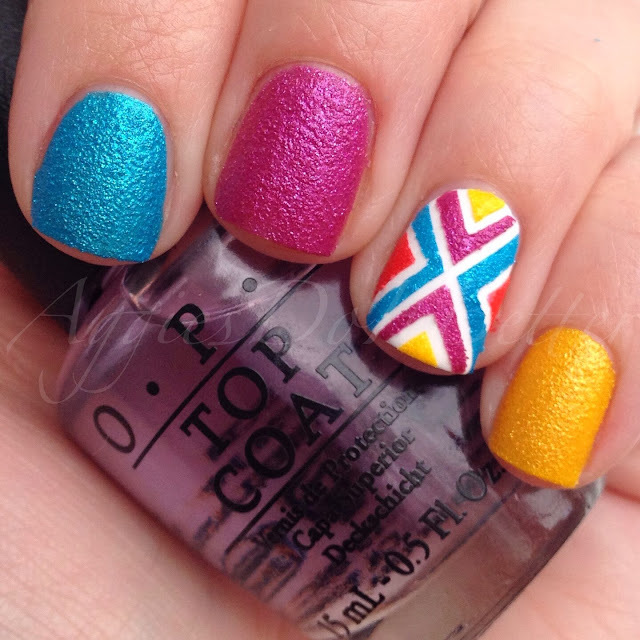 Again here's one coat of each, they are all super different. I was really expecting Samba to be identical to Crush. Color me surprised! Look how different the last 2 are! I am so surprised because I've seen a few swatches already where they look the same. I guess different light tells different stories. Natural light FTW! 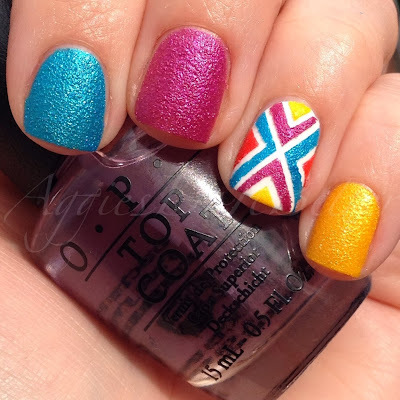 Lastly here is the Nail art I created with these colors. I've been dying to do this with my striping tape since I got it, and let me tell you.....I about didn't breathe the whole time. Normally, you need to pull the tape up right away. 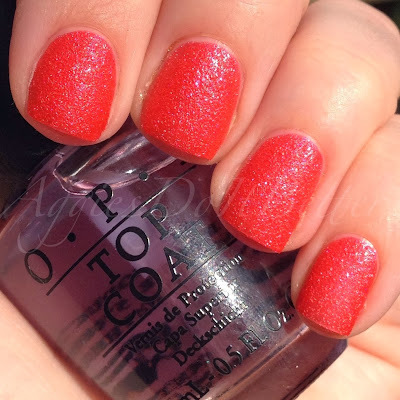 But using so many colors at a time, with my dotting tool, and maybe I was slow but.....AND the sands dry quicker than creme polishes. It did pull up a tiny bit but I was able to straighten out my lines with a sewing pin. I'm really pleased with how it came out! -these ARE sparkly, just not as much as I'd hoped. 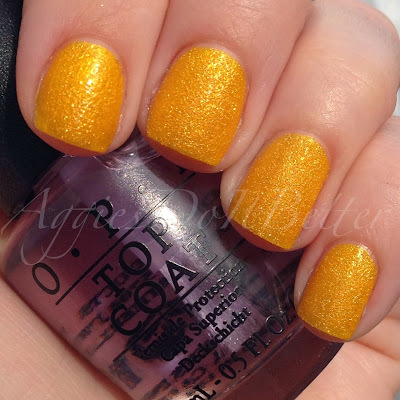 I'm not really a fan of the matte no-sparkle textures, although they do have their uses. 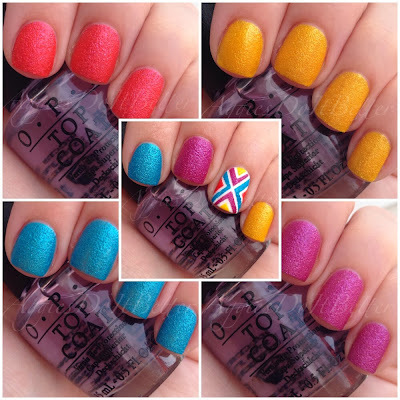 -the sparkle in these is the same color as the polish. Does that make sense? In the purple you can really tell. In Crush there's a silver sparkle, and Samba it's purple. So it just doesn't pick up on camera. That being said, these definitely aren't matte, but ....... almost. In my opinion. 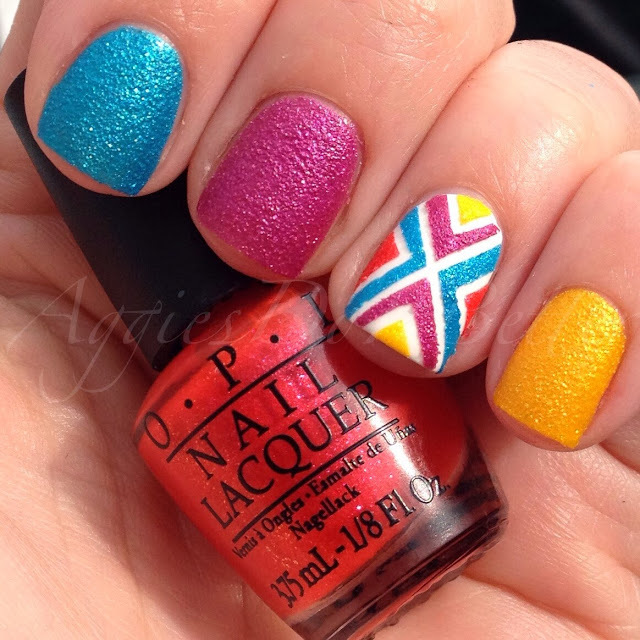 -I'm loving the bright colors! 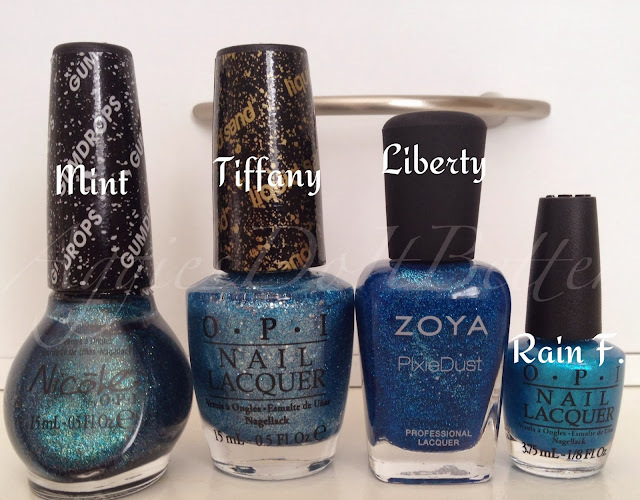 -I think I'm just spoiled by the holographic sparkle of my ALL TIME FAV OPI Alcatraz Rocks, and the blue Get Your Number. Those are just hard to beat. Magazine Cover Mouse comes in at a close 3rd in my book. -I'm quite curious about the new "holographic" Magical Zoya Pixies about to come out. They are beautiful colors, and I'm a super big fan of the regular pixies but.....they look like they have a lot of larger, "chunkier" pieces of glitter in them, similar to the purple OPI Can't Let Go, but more so, and I'm just not sure how I feel about that. If you guys really like these comparisons, then maybe I will pick them up for comparison's sake. I think I just need to see them in person first. -If there's anymore comparisons you guys want to see I'd love to do them! Let me know and if I get enough requests I'll do another blog post and if not I'll just post them on IG! Yes, more than the rest of the Vrazil line, I WANT these! 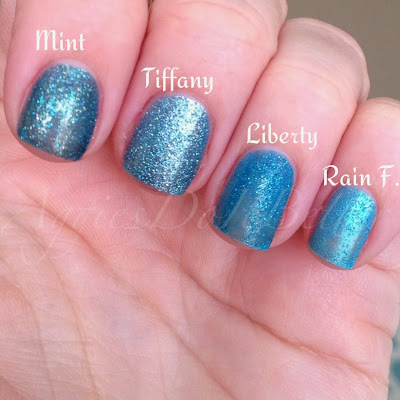 Great comparison swatches. Perfect!